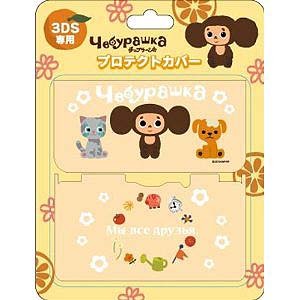 «©NCSX» The Japanese rediscovered Cheburashka a few years ago and a series of plush toys and trinkets have been released to honor the little creature. 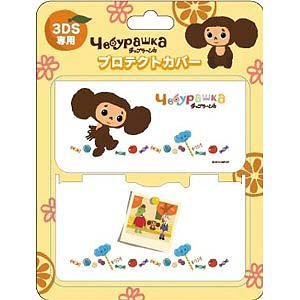 What is Cheburashka exactly? Well, he's a monster who was created by Eduard Uspensky in the 1960s who sports major league ears which are attached to a little face which is borne by a diminutive frame. 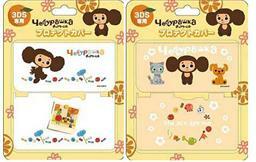 The Japanese refer to Cheburashka as "Tieburasika" but we usually refer to him as Che. Just Che. 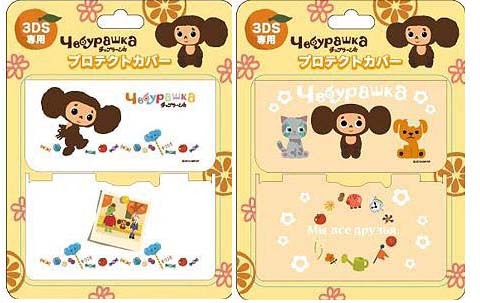 Cheburashka is still popular in Japan and Asia so Japanese manufacturer "Answer" is producing two new Nintendo 3DS protective covers which snap onto the handheld and stay latched. The Protect Cover keeps the surface of the 3DS free from scratches, dirt, and debris and keeps it shiny and pretty. The cover is made of non-slip PVC so that even sweaty hands will lose grip of the 3DS during a fevered gaming session.